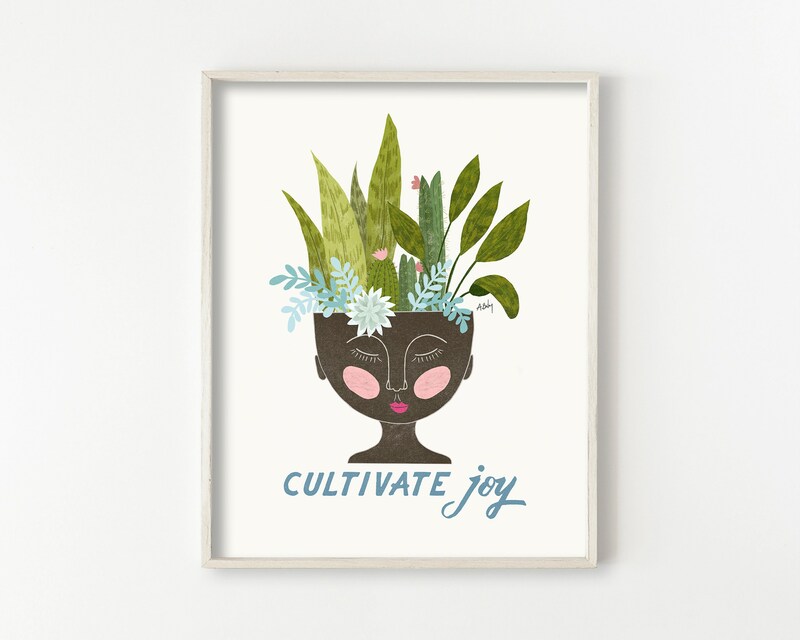 Sometimes joy takes time to cultivate, and will always show up if you put in the time to make it happen. 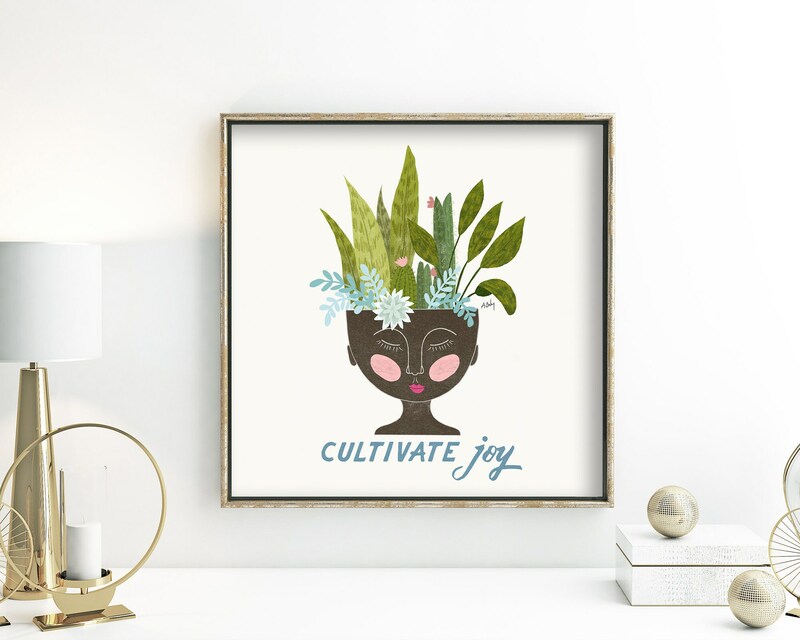 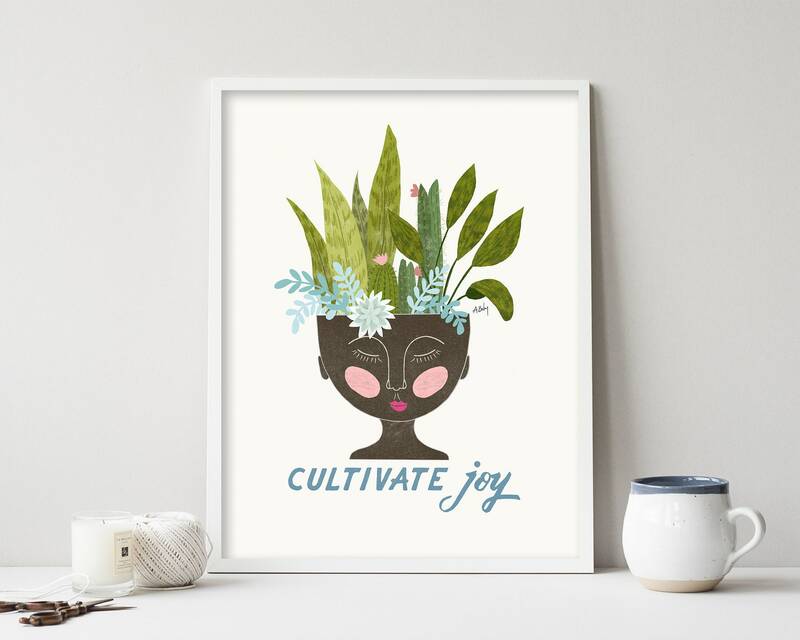 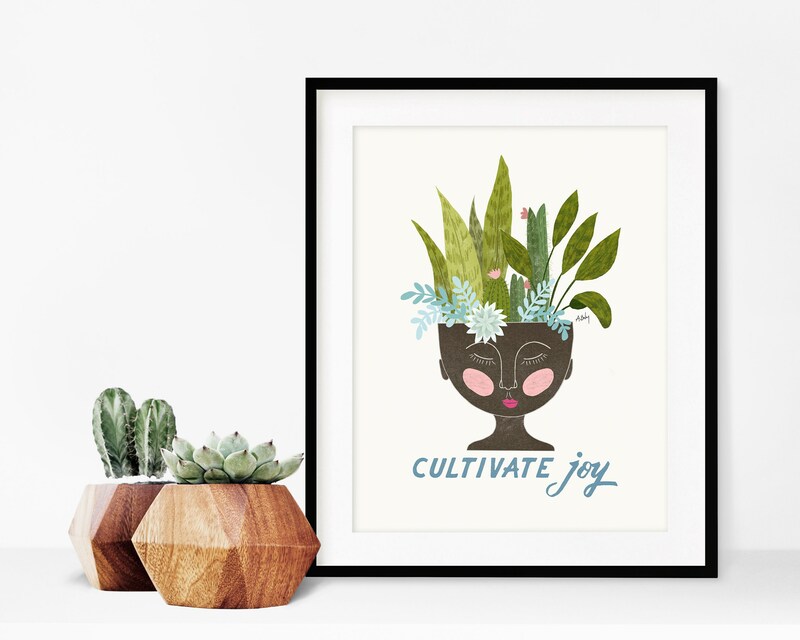 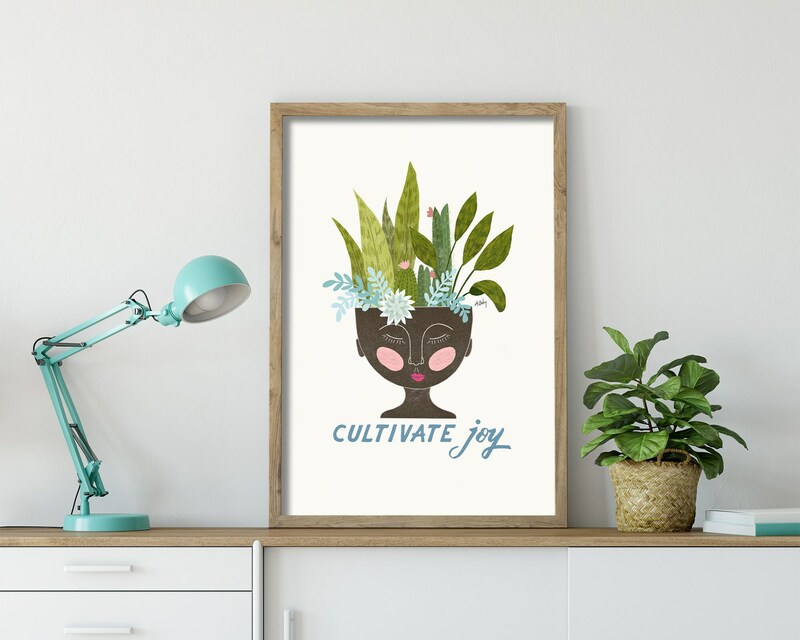 This illustration of a happy grouping of plants and succulents in a feminine planter will bring joy and color to your walls. 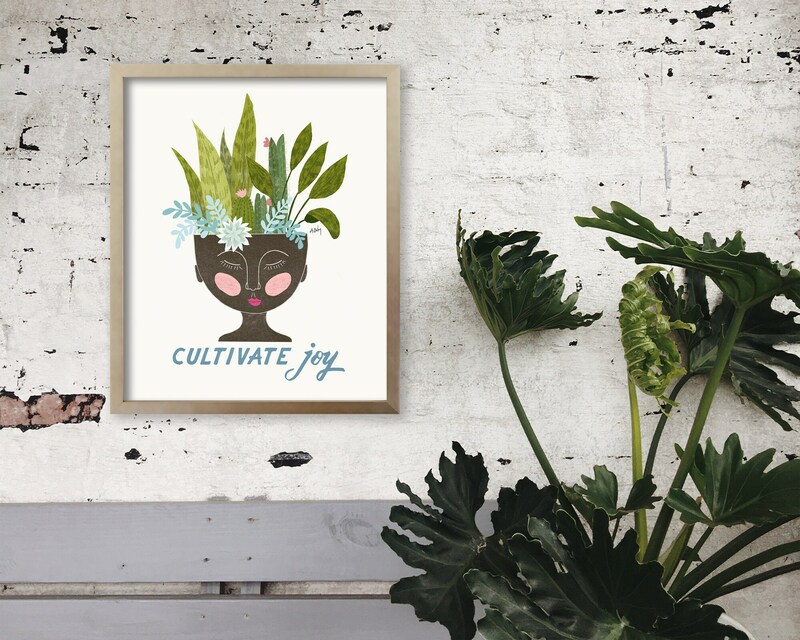 Made with our original illustration.